← Sponsoring What? Are You A Leader? 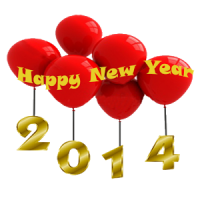 21stCenturySurf, would like to take this time to wish you and your family, the very best in good health, wealth and success in 2014! during the past year and there are more to come. in 2014 to update any and all programs. the bottom of every mail, newsletter or blog entry such as this one. Meantime, do read your mail. We only send value information. Some have a time limit so do be quick to check please? Your comments are appreciated. As is your sharing this news. This entry was posted in Traffic Exchange Blogs, Traffic Exchanges and tagged 10khits4unow, 21stCenturySurf, clickaholics, Happy New Year, viralhost. Bookmark the permalink. Might I please be allowed to rejoin 10k Hits 4 now? Wow Gavin you sure can. DId not know you were not a member? Or possibly suspended for not hitting the cheat sheet?